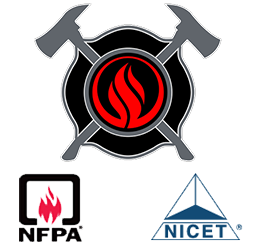 We offer 10% off the following:Commercial Fire Sprinkler System repairs, Underground Fire Protection Piping flush, Class 1 Dry Standpipe System maintenance and repair, Class 2 Wet Standpipe System maintenance and repair, Class 3 Combined Fire Sprinkler Standpipe maintenance and repair, Fire Hydrant flow testing, Backflow Preventer testing, Fire Department Connection back-flush, Fire Pump annual testing, Fire Pump Controller service, Post Indicator Valve repair - PIV, Flow Switch / Tamper Switch testing, Residential Fire Sprinkler System maintenance and repairs, Five year Fire Sprinkler Testing and Certification, Title 19 Testing and Certification, Inergen / Halon Clean Agent System maintenance, Kitchen Suppression System semi-annual maintenance - UL 300, Annual Inspections, NFPA 25 Testing and Maintenance. South Orange County Cities (949) 369-1000: Aliso Viejo, Capistrano Beach, Corona del Mar, Costa Mesa, Coto de Caza, Dana Point, El Toro, Foothill Ranch, Irvine, Laguna Beach, Laguna Hills, Laguna Niguel, Laguna Woods, Lake Forest, Mission Viejo, Monarch Beach, Newport Beach, Rancho Santa Margarita, San Clemente, San Juan Capistrano, Santa Ana, South Laguna, Trabuco Canyon, Tustin, Newport Coast. San Diego & Riverside County Cities (619) 550-3290: (760) 851-0926: Carlsbad, Chula Vista, Coronado, Del Mar, El Cajon, Encinitas, Escondido, Imperial Beach, La Mesa, Lemon Grove, Mission Valley, National City, Oceanside, Poway, San Diego, San Marcos, Santee, Solana Beach, Vista, Banning, Beaumont, Blythe, Calimesa, Canyon Lake, Cathedral City, Coachella, Corona, Desert Hot Springs, Eastvale, Hemet, Indian Wells, Indio, Jurupa Valley, Lake Elsinore, La Quinta, Menifee, Moreno Valley, Murrieta, Norco, Palm Desert, Palm Springs, Perris, Rancho Mirage, Riverside, San Jacinto, Temecula, Wildomar.